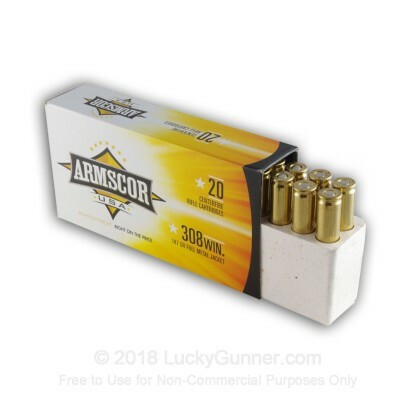 This ammunition is competitively priced featuring a copper-clad steel jacket bullet with a lead core made of quality components and is new production, non-corrosive, in boxer primed, reloadable brass cases. 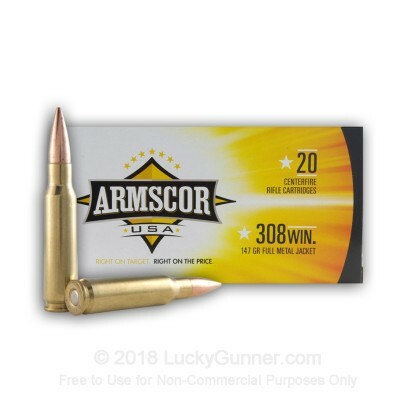 We don't have any reviews yet for this particular .308 (7.62X51) ammo from Armscor. 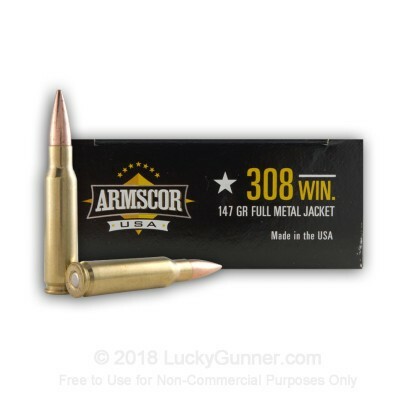 If you'd like to be the first to review this particular .308 (7.62X51) ammo from Armscor, fill out the form below.